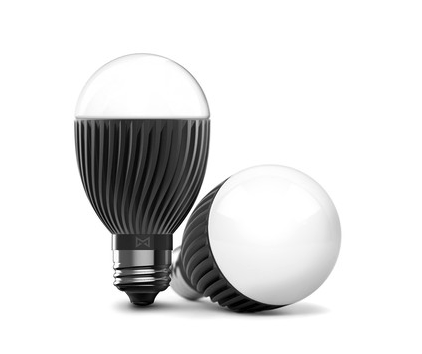 The Misfit Bolt is a wirelessly controlled LED bulb that can be attached to any E26 light socket. It is capabale of producing millions of different colours and you can even design your own custom scenes. A single Bolt LED bulb is $49.99US. The Bolt uses Bluetooth LE to link directly with your iOS or Android device. This means that you won’t need to plug a hub into your router to get it to work. The Philips Hue which is a similar concept requires you to connect it to a hub and home wireless network. Not only does this make it much more expensive ($200US for a starter pack) than the Bolt, but it is also not easy to use on location. 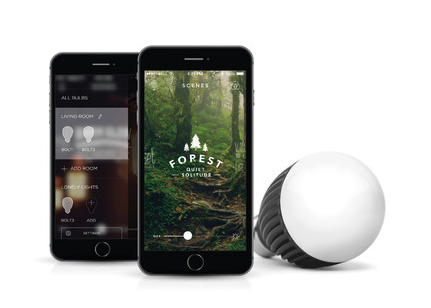 By using Bluetooth you can take the bulbs anywhere and use them without hassle. As far as the output goes, the Bolt is 60W bulb, putting out a stated 800 lumens from a power draw of 13 watts. 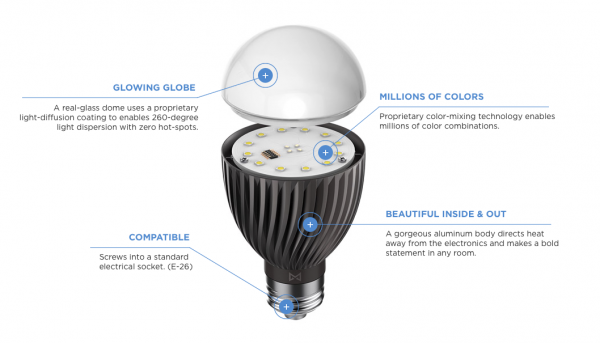 That’s brighter than Philips Hue LEDs, which only put out 600 lumens. What makes the Bolt so appealing for filmmakers is the ability to create a variety of looks for not a lot of money. For putting subtle lighting effects into backgrounds for interviews it is a great solution. A lot of household sockets use the E26 and you can also buy E26 sockets that come with a power cable for under $10. I have previously used the Philips Hue to create interesting lighting effects. The problem was the Philips Hue needs to have a hub connected to a wireless router to work. This is hardly convenient for location work. The Bolt solves this problem as you just plug it in, connect via Bluetooth and open the app. You can also use the Misfit Flash watch to control brightness and turn you bulbs on and off if you don’t have a smart phone. 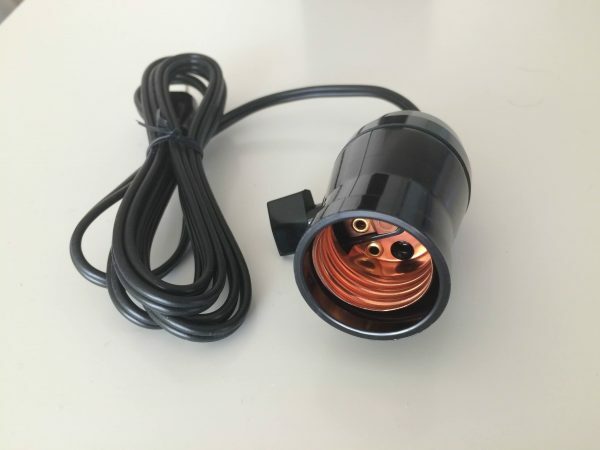 The Misfit Bolt looks to be a very interesting product if you want to create low cost lighting effects. The Bolt retails for $49.99US and you can buy a pack of 3 for $129.99US.